Make plans to attend VPPPA Safety+ National Symposium 2019! This year in New Orleans, The show will offer an agenda of knowledge and expertise that can be used for the promotion, increased awareness, and implementation of safety and health practices in the workplace. 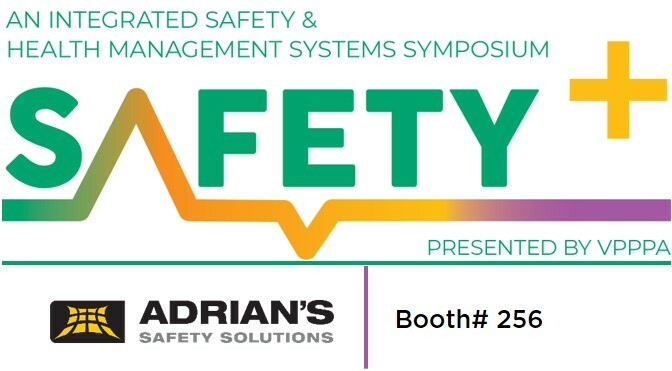 Perfect for the supply chain safety professional, you can network, learn, and see new products like Adrian’s Safety Solutions (booth# 256) line of warehouse pallet rack safety products. Register today for this event. The Voluntary Protection Programs Participants’ Association, Inc. (VPPPA) – The Premier Global Safety and Health Organization™, is the leading organization dedicated to cooperative occupational safety, health and environmental management systems. VPPPA, a nonprofit 501(c)(3) charitable organization, is a member-based association, providing a network of more than 2,300 companies and worksites who have achieved or are striving for occupational safety and health excellence, including the Occupational Safety and Health Administration’s (OSHA) or the Department of Energy’s (DOE) Voluntary Protection Programs (VPP).